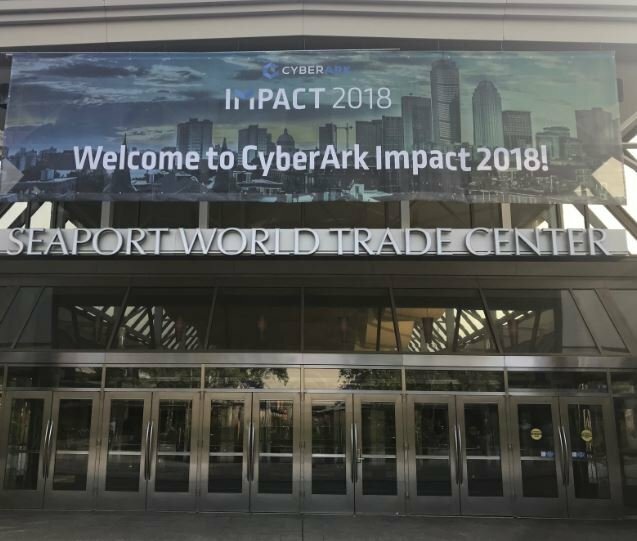 This week we convened the largest gathering of privileged access security practitioners, technology partners and subject matter experts ever at CyberArk Impact Americas 2018. Held in Boston, this 12th annual event underscores our “security is a team game” philosophy. The event provided an opportunity for customers to: share their in-the-trenches experience and tech insights; spend one-on-one time with privileged access security experts addressing questions, challenges and unique approaches; obtain hands-on product instruction and deep technical training. It’s also a venue to socialize with – and learn from – industry peers. Regardless where customers are in their privileged access security journey, there was something for everyone on the jam-packed agenda. Over the course of three days, attendees explored the future of security with CyberArk leaders, dissected recent attacks and advanced attack methodologies; discovered new defense strategies; and dug into technical demonstrations of CyberArk solutions and partner technologies. The resounding theme across each session and demonstration was the critical need for strong cyber security hygiene and a systematic, risk-based approach to address organizations’ top control goals – from eliminating irreversible network takeover attacks to defending DevOps secrets in the cloud and on-premises. CyberArk partners were also well represented at the conference. The Impact partner pavilion – featuring representatives from SailPoint, Okta, ForeScout, KPMG, PwC, CyberSheath, Deloitte, Clango, Optiv, Cognizant and SecureITSource – provided a hands-on opportunity for customers to experience some of the many technology partnerships and integrations requested by customers, made available through the CyberArk C3 Alliance Program and featured on the CyberArk Marketplace. Our channel partners invest heavily in developing privileged access security expertise to help companies worldwide adopt best practices for their multi-layered cyber security programs. They espouse the benefits of taking both an attack and defend approach to security programs. These awards celebrate top CyberArk channel, systems integrator and solution provider partners in the United States, Canada and Latin America. These partners have demonstrated strengths across a variety of categories including excellence in cyber security innovation, commitment to training and skills development, and driving customer success with market-leading privileged access security solutions to help defend against sophisticated attacks. We congratulate all of this year’s winners and look forward to our continued collaboration to shape the future of our industry and protect what matters most.